Female Hands In Warm Red Sweater Giving Present In Silver Paper With Red Bow. Wooden Vintage Table With Christmas Decorations. Top Plan View. Festive Mood, New Year Concept. Foto Royalty Free, Gravuras, Imagens E Banco De Fotografias. Image 113085724. 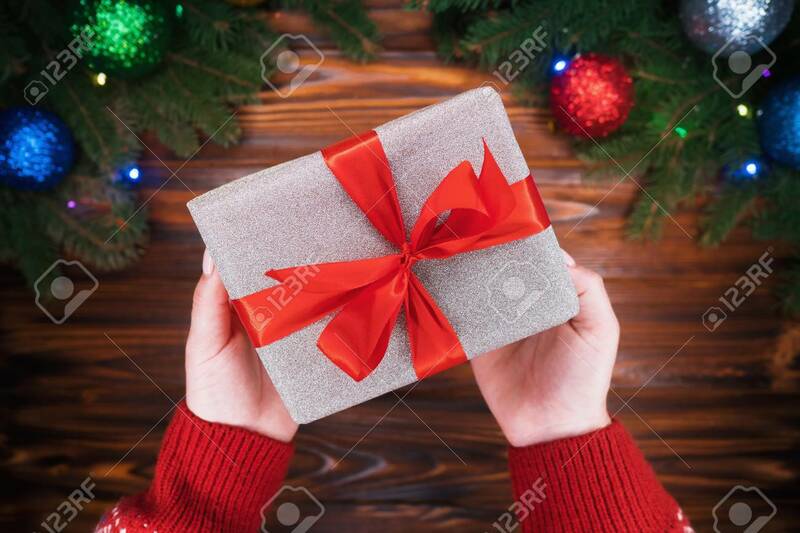 Banco de Imagens - Female hands in warm red sweater giving present in silver paper with red bow. Wooden vintage table with Christmas decorations. Top plan view. Festive mood, new year concept. Female hands in warm red sweater giving present in silver paper with red bow. Wooden vintage table with Christmas decorations. Top plan view. Festive mood, new year concept.